This website is provided as an information service only. It is not intended to provide medical advice. 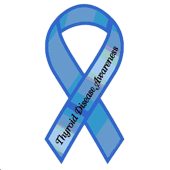 Every effort has been made to ensure that the information on this website is correct, but the NZ Thyroid Support Group does not accept any responsibility for action or omission based on inadvertently incorrect information posted on this website. It is strongly recommended that persons wishing to use information obtained on this website for decisions about health matters, first consult their medical practitioner.